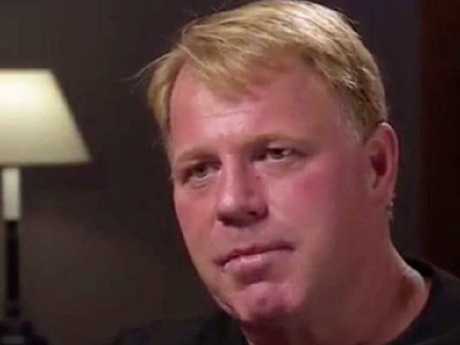 MEGHAN Markle has reportedly had a gutful of her estranged dad, Thomas, blabbing to the media. The newly minted Duchess of Sussex has reportedly vowed not to speak to Mr Markle until he makes contact in a "respectful manner", according to a Daily Mail report. Meghan has reportedly not spoken to her father since just after her wedding to Prince Harry on May 19 when the prince allegedly told the 74-year-old off over those infamous staged paparazzi photos. Mr Markle has since gone on to give a litany of media interviews, the most recent of which he claimed Meghan would be "better off if [I] was dead" and that Kensington Palace had discarded him, giving him no way to contact his daughter. 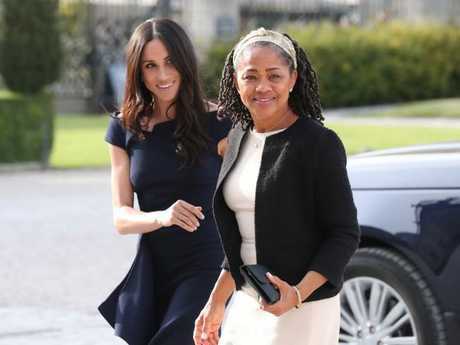 A close friend of the Duchess reportedly told the Daily Mail, however, that Mr Markle does have a way in to get to his daughter, via his ex-wife and Meghan's mum, Doria Ragland. "The only reason Meghan hasn't spoken to her father yet is because she's yet to hear from him in a respectful manner," the source reportedly told the Daily Mail. "Thomas is speaking to the press more than he's reached out and spoken to his own daughter. "Despite Thomas's claim that he has no way to reach Meghan, he knows that her mother Doria is in touch with her and Thomas knows how to reach Doria. "If Thomas truly wanted to speak with Meghan, he could easily have sent a letter to her mother and asked her to pass it along. "Unfortunately that wouldn't sell papers or fit into his fabricated and salacious narrative," the source reportedly told the Daily Mail. Mr Markle has claimed the most recent rift between the two is over the fact she asked him to cease contact with her estranged sister Samantha Markle. Mr Markle also claimed in a new interview that, not only was he unable to contact Meghan, he had sent her two birthday cards, while admitting he lied to Prince Harry about the paparazzi scandal. He told the paper of the now-infamous pictures of him being measured for a suit: "I told him [Prince Harry] I was being measured for a new hoodie." Markle also called Harry "rude" after the prince phoned him while he was allegedly in a San Diego hospital, recovering from the heart attack that kept him out of the royal wedding. He went on to speak of the "hurt" he felt when he was told, if he did make it to the wedding, he would not be able to give a speech. "I was going to recount the funny story about how she broke the news to me about dating Harry: 'Daddy, I've met a man … Daddy, he's English … Daddy, he's a prince," Mr Markle reportedly told the Daily Mail. "I thought it was a cute story. Like any father I wanted to say a few words. I was going to thank the Royal Family for welcoming my beautiful daughter into their family. But it was a speech that I was never going to be allowed to give. That hurt." Despite claiming he would then stop talking to the media, Mr Markle gave another interview to The Sun where said: "I want to say good luck and God bless to my daughter. I don't expect to see her or hear back from her - and that's OK.
"All I was doing was saying things I wanted to say. I just want to re-establish the relationship with my daughter. "I now want to go on vacation somewhere to try and get some peace." Although Meghan's mum Doria has not publicly spoken about the family rift, the Duchess' half-siblings have happily put their two cents in - with sister Samantha Markle describing the Meghan's treatment of her father as "inhumane". She told the Mirror newspaper on Monday: "There would be no just reason for her not to want him in her life, as he was good enough to use to make her everything she is." 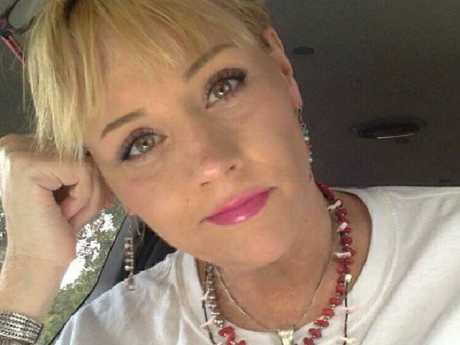 Samantha Markle later took aim at Meghan on Twitter, describing her as "heartless, arrogant and inhumane" in a series of late-night messages. Meghan's half-brother Thomas Markle, Jr, also slammed his famous sister. "It's heartbreaking to see how this has changed her and the devastation it has caused to my family," he told the Mirror. "Anyone who saw Meg when she was growing up knew her and my dad were inseparable. Now it looks as though they may never speak again."